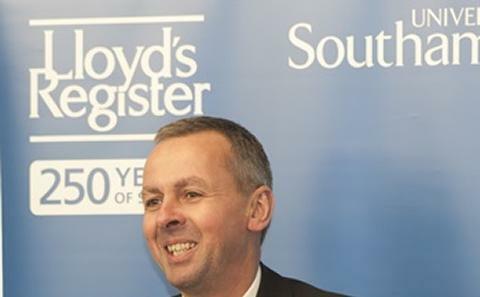 We are pleased to announce that Richard Sadler, Chief Executive of Lloyd's register Group, will be visiting the University of Southampton for an exclusive Marine and Maritime event. He will be joined by an expert panel including Dr Grahaeme Henderson, Vice President Shipping & Maritime, Shell; Kevin McLeod, Engineering Director, BAE Systems and Paul Boissier, Chief Executive, RNLI. Lloyd’s Register is a £1bn turnover UK company owned solely by the Lloyd’s Register Foundation that exists to provide public benefit in the areas of research and education. The Lloyd’s Register Group provides knowledge based services protecting life, property, businesses and the environment. Lloyd’s Register operates in 78 countries and employs 8,500 staff of over 90 nationalities. Lloyd’s Register offers independent advice to Governments, clients and other stakeholders in the, Transport, Energy, Water, Food, Health and Security sectors. Dr Grahaeme Henderson is responsible for Shell's international shipping and maritime activities. His work spans Shell's entire business from exploration and drilling, through design, construction and operations. Grahaeme's global team also manages Shell's oil tanker, LPG and LNG vessel portfolio. This includes around 44 LNG ships, which make up some 11% of the world fleet and some of the world's most technically advanced LNG carriers. He has a First Class Honours BSc Degree and a PhD in mathematics of sea waves and is a professional chartered engineer. Kevin McLeod joined BAE Systems Naval Ships as Engineering Director in Jan 2009 after a 26-yr career in the Ministry of Defence. He is a former Technician Apprentice and holds a BEng (Hons) in Ship Science, an MSc in Warship & Submarine Design and an MBA. He has completed a number of professional engineering appointments as a Naval Constructor in Bath, London and Devonport. He is a Chartered Engineer, a Fellow of the Royal Institution of Naval Architects and he sits on the RINA Membership committee. Kevin is responsible for all Engineering matters within Naval Ships including Product Safety. Paul Boissier has spent much of his working life either at sea, or closely involved with seafarers. After graduating in mechanical Engineering from Cambridge University, he joined the Royal Navy where he specialised in navigation and served in a variety of submarines during the Cold War. His naval career ended with 2 years as the Chief Operating Officer of the Royal Navy, based in Portsmouth. He joined the RNLI as Chief Executive in 2009 and has enjoyed every moment of the job from that point onwards.